Why you need to extract the drives from a NAS when recovering data? Mostly, people searching for a DIY NAS recovery solution are unpleasantly surprised facing the necessity to extract the drives from the NAS. They just don't understand why they can't run the software which can recover data from the failed NAS, select the NAS, and start scanning. The thing is that the NAS operates with the disks at the file level, while the recovery software reads sectors and clusters from the physical disks. In other words, the software must access the hard drive to read the data but the NAS does not provide the software with this capability. 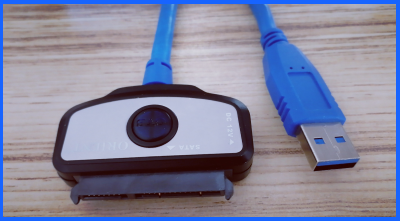 Thus, even if the data recovery software vendor doesn't clearly mention that you need to extract the drives and to connect them to the PC separately, be sure you will have to do this anyway. Unfortunately, even if you need to recover just a couple of files deleted by mistake, you will have to extract all the drives as well. Remove one of the device covers (the front one in our case). Pull the disks one by one. Note that when extracting the drives, you do not violate the warranty since it is a typical action for a NAS device - to extract and to replace the drives in case of a disk failure or the disk space expansion. 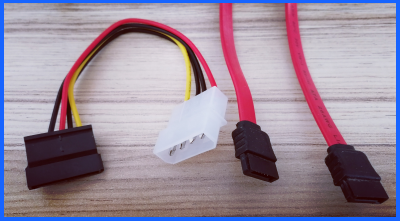 Connect the NAS drives to a PC, using USB-to-SATA adapters together with power, or connect the drives directly to the PC motherboard (a preferable option).